Welcome to Week Four of the Forza Garage, where we are well on our way to revealing the more than 700+ vehicles that will be a part of Forza Motorsport 7 at launch. With hundreds of cars to race, customize, and explore in the game, this week we’re focusing on the “exploration” part of the equation. 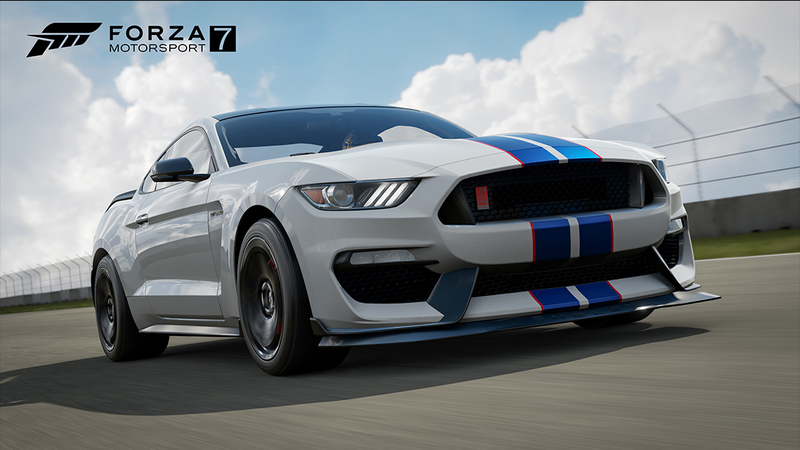 After all, every car in Forza Motorsport 7 features a full Forzavista experience, allowing players to discover each car’s unique characteristics in exquisite detail. Nowhere is the Forzavista level of detail more apparent than with car engines. Consider two fan favorites: the 2017 Ford GT and the Subaru Impreza 22B STi, both of which feature fully modeled engines in Forzavista for the first time in Forza Motorsport 7. Two years ago, the GT debuted in the Forza franchise before it was even completed in the real world. For Forza Motorsport 7, the team at Turn 10 returned to Ford Performance’s masterpiece for another round of sourcing, this time with a focus on capturing all the magic of the Ford GT’s Eco-Boost engine and its intricate components. For the Subaru Impreza 22B, the team travelled halfway across the world to source a completely original car – including all factory stickers and zero modifications – giving players a rare glimpse at this beloved Subie. With Forzavista, details matter and we can’t wait for players to explore their favorite cars in Forza Motorsport 7. In fact, we’re making the Forzavista experience even better by allowing players to explore cars not only in our gorgeous pre-made home spaces, but also track-side before the race begins. The “R” in GT350R may as well stand for “radical” when you consider how much better Ford Performance made an already amazing car. Powering the GT350R is a flat-crank 5.2-liter V8 churning out more than 500 horsepower and blasting one of the most amazing sounds in exhaust history. But it only gets better as you explore the rest of this modern muscle masterpiece. With carbon fiber wheels (the first to come from a major manufacturer), adaptive magnetorheological suspension and sculpted aero, the GT350R is nothing less than an apex-gulping track day weapon, full of bad intentions. Take it for a spin in Forza and watch the records fall. Here is the list of American rides we are revealing this week.